If you’re a homeowner or a business owner, chances are you’ll run into a plumbing emergency at least once. 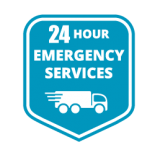 Whether it’s a clogged toilet or a leaky sink, unexpected emergencies can occur at any time of the day or night. But how can you tell when something is an immediate emergency, or if it can wait until normal business hours? 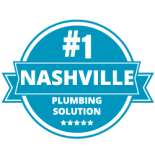 At TN Plumbing Solutions in Nashville, Tennessee, we provide 24 Hour Plumber services for those days you’re in an unforeseen plumbing crisis. 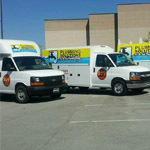 Our highly qualified plumbers are trained to handle whatever plumbing issue life may have thrown at you. In this blog, we’ll go over eight of the most common plumbing emergency problems we come into contact with. If you’re experiencing any of these in your home or your business’ building, please give us a call immediately and our professional plumbers will be more than happy to help! There’s nothing more inconvenient than a clogged toilet. If your toilet is clogged, not flushing properly, or is making unusual sounds, we would consider that a plumbing emergency! Your home or business’ toilet is likely one of the most utilized elements of your building, so you’ll want to get it fixed right away. There are a lot of DIY tips on the internet for unclogging your toilet; however, we recommend immediately calling a professional instead, especially you’re totally unsure of what you’re doing. Also, don’t just ignore the problem or procrastinate calling a professional, as an unresolved problem can lead to structural damage or sewage backups — yuck. Second to the toilet, your bathtub or shower is another element of your home’s bathroom that you likely use often. If your shower isn’t draining properly or is making weird bubbling noises, you probably have a clogged drain. Let a professional unclog it and deal with the soap debris and hair buildup rather than tackle that task yourself. Similar to a clogged bathtub or shower drain, you can tell you have a clogged sink if it simply refuses to drain efficiently. This isn’t always an emergency, per say, but more of an annoyance. If your clogged sink seems to be severe or isn’t draining at all, that would qualify as more of a plumbing emergency. “I love taking cold showers!” said nobody ever. If your shower or water in your house doesn’t seem to be warming up like it usually does or at all, we would consider that a plumbing emergency for a 24 Hour Plumber. 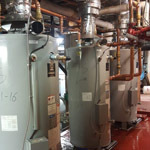 Your building is likely experiencing a water heater malfunction, an electrical issue or a plumbing leak. Side note: Make sure you paid your utility bill before giving us a call. Your cold water might be a result of that rather than an actual system error. 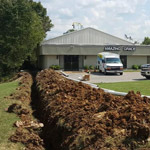 If your home is experiencing multiple drain clogs or terrible sewage odors, you might be experiencing a sewer system backup problem, which is definitely a plumbing emergency. Repair for this type of problem isn’t only inconvenient, but it’s also messy and not cheap. We suggest fixing this as soon as possible to prevent further damages to your building! Other signs of a sewer system backup may include a gurgling sound from your toilets or water pooling around your basement’s floor drain. Broken water lines aren’t fun, as they can cause water to collect in your yard or mess with your home’s water quality and water pressure. There are a variety of reasons broken water lines may occur: tree roots growing, unexpected earthquakes, digging before calling (oops). No matter what caused it, we consider this an emergency plumbing situation for a professional plumber to handle. This is a more common problem during the winter months, as the freeze-thaw cycle can cause your sewer pipes to burst. We suggest hiring a professional local plumber to replace this pipe because we know they’ll get the job done right the first time. Problem 8: Any and All Leakage! Leaking from your home’s faucets, toilets, washing machine hoses, or water heater is usually a sign of a plumbing issue, though the severity of the leakage is what can turn it into an emergency situation. Leaks can increase your utility bills, cause rust and mold, and can also damage your building’s structure, so we suggest getting these fixed immediately. If it’s more of a drip-drip situation, you can probably wait until normal business hours to schedule an appointment. But if the leakage is more of a Niagara Falls situation, give us a call — like, now. Fun fact: On average, the minor leaks in your home can add up to more than 10,000 gallons of wasted water annually. To give you some insight, that water could be used to wash about 270 loads of laundry, if you sought help for your plumbing emergency! 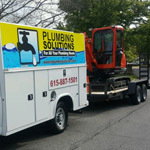 At TN Plumbing Solutions, we are a 24 Hour Plumber company in the Nashville area. 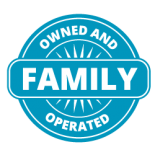 Our family-owned and operated business is Nashville’s #1 plumbing solution because we guarantee 100 percent customer satisfaction. We’ve offered a variety of plumbing services since 1992, and our local plumbers will work hard to make sure your residential or commercial property’s plumbing is working in top-notch condition. 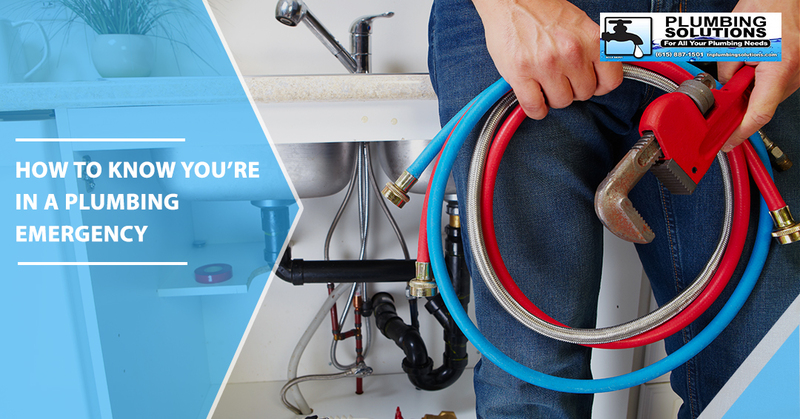 If you’re in the middle of a plumbing crisis, our professional plumbers can help you at any hour in the day! We encourage you to call us today at (615) 823-7223 when you’re experiencing a plumbing emergency. For all other inquiries about our business or to schedule your next non-emergency plumbing services, fill out our online form.